The Stuif site has been in hibernation for a long time. Recently I have added a blog to the site and I have transferred my Multiply albums as well. So it may be a good time to revive my site! Is it? 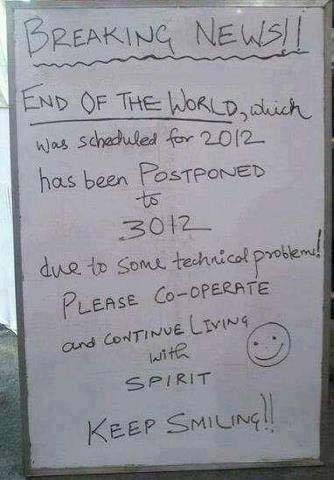 What about the Mayan apocalypse on 21-12-2012? Latest news: It has been postponed!